It is 1938 and the threat of war looms on the streets of London. 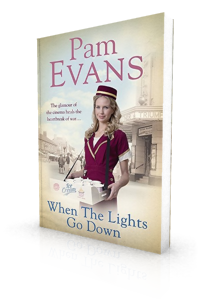 But, when the lights go down in the cinema aisles, usherette Daisy Blake is transported to a world of glamour and romance. Among the staff there is much merriment and Daisy soon falls in love with the handsome organist, Al Dawson. Then war is declared and, just after Al leaves for the frontline, Daisy discovers she's pregnant. Her mother is distraught; she doesn't think Al is right for her daughter and when Daisy's letters to him go unanswered, her mother encourages her to marry John, the cinema's projectionist, to spare her further heartache.